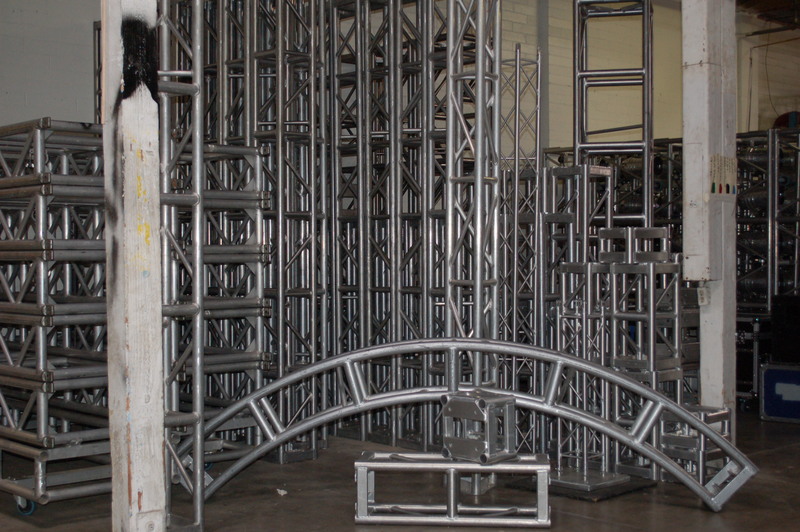 We have many types of truss. Many different brands, some black, light duty, heavy duty, circle truss, corner blocks, bases, and all manor of lengths. Call for availability and types.